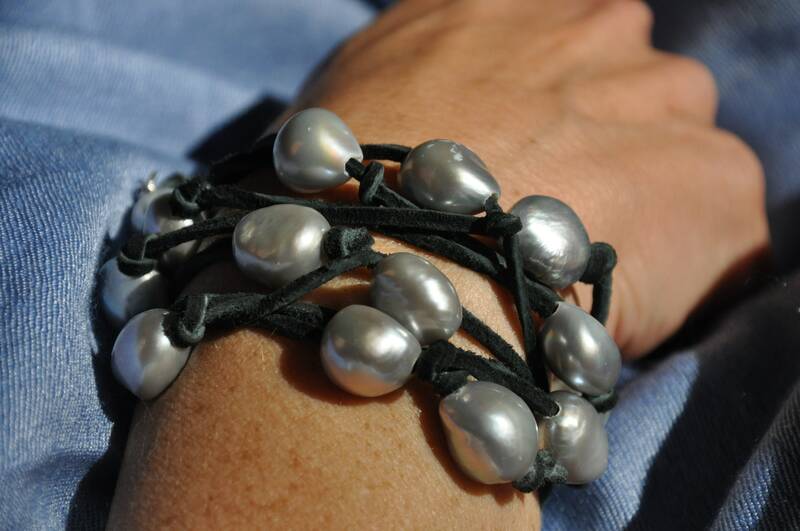 The lariat features approximately 17 pearls, and is made with high-quality suede which wears very well. 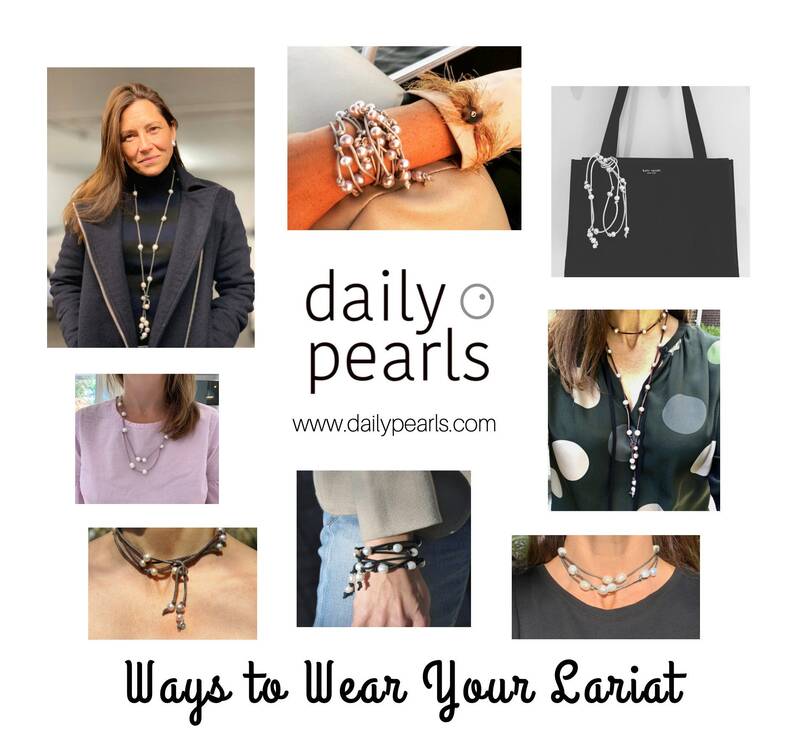 At the end, it has a sterling silver dangle with the stamped Daily Pearls logo. It comes with the above card, which shows how to wear it, and if requested, will be sent with a pink gift bag and tissue paper.